Though many laud the advantages provided by blockchain technology, citing quicker transactions and no need to resort to banks, a string of problems may arise if regulations do not duly arrive, Iwa Salami, Senior Lecturer in Financial Law and Regulation from University of East London, wrote for The Conversation. She feels certain that all-embracing regulatory measures with regard to digital currencies should be implemented without delay to ensure the stability of global finance. In her article, Salami looks into how the market for cryptocurrencies, which are alternately looked upon as a form of money and as commodities, has grown outside of any concrete regulatory framework. This may pose a number of potential risks, Salami argues. If looked upon as a substitute for money, cryptocurrencies have to meet three requirements: to start with, they should be a convenient medium of exchange for the purchase and sale of goods. "This is the most promising feature of the blockchain technology as it facilitates peer to peer transactions across various industries," Salami writes. Second, a cryptocurrency must be a unit of value – something the Bitcoin failed to meet due to its incredible volatility; it was estimated to be six times more volatile than gold in 2017. — ben jones (@usitechreview) 17 января 2018 г. Third, a cryptocurrency is expected to stand for the real value or cost of an item, which is again not the strongest feature of Bitcoin, something that's perfectly acknowledged by many businesses. "Importantly, cryptocurrencies would not need to be classed as money for them to be able to trigger a financial crisis," Salami states. She goes on to say that it will be enough to treat or trade them as financial securities and/or commodities when a crunch occurs. 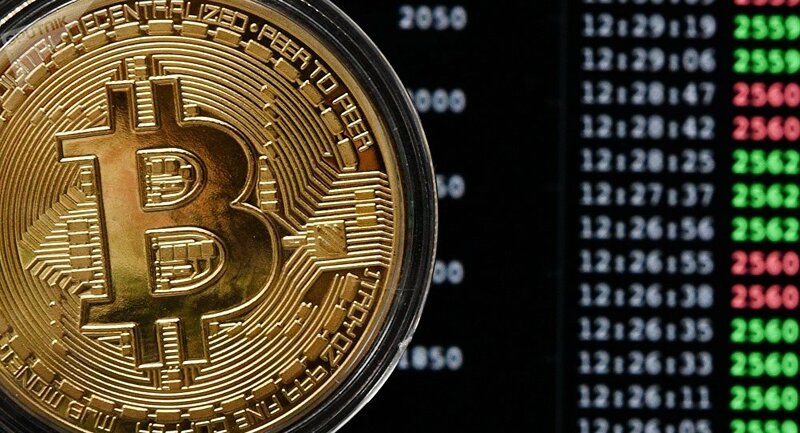 Bitcoin and other cryptocurrencies infrequently operate like a financial security such as a stock or commodity; companies raise their funds through granting digital “tokens” to their contributors, or subscribers, who in their turn use either a cryptocurrency or fiat money to acquire an interest in this or that project. As compared to the traditional initial public offerings (IPOs) used to to raise funds, the so-called ICOs (initial coin offerings), which operate through a cryptocurrency exchange, are much cheaper to arrange and work more quickly, as they bypass intermediaries. "However, ICOs do not receive the same regulatory scrutiny as IPOs. Instead, a firm seeking financing via an ICO is expected to circulate a white paper setting out the basic objectives of the business, the cost of setting it up and how this would be done. And that’s it," Salami points out. The researcher argues that the surge in the Bitcoin price last year was caused primarily by speculation, since it’s commonly regarded as a "bubble" which may burst any time. "Very little needs to happen before that bubble might burst, such as the introduction of more regulation or another hack of a major cryptocurrency exchange," Salami says, referring to the hacking of a high-profile digital currency exchange in Seoul, which went bankrupt in late December. The "systemic risks" of an economic crunch will skyrocket with digital currencies going more and more mainstream, the expert says. — Team Pure Savage (@TeamPureSavage) 17 января 2018 г.
i am no predictor but it's a cryptotwitter thing so here goes. Korea might put an unofficial ban in all but name, btc falls bear market for months then May, korea kicks out present govt, stockmarket crash, ECB has issues with italian bank crisis so bitcoin comes roaring back. — N (@naomi55) 17 января 2018 г. She has recalled the pervasive economic crisis of 2008, with the preceding fall in the value of mortgage-backed securities in the US and their ensuing derivatives. The introduction of Bitcoin was a big step forward in preventing it back then, whereas now, another crisis is looming ahead, unless plausible regulation finally arrives. According to the latest media reports, Bitcoin dipped below $10,000 today for the first time since early December.